PHCC is the oldest trade association in the construction industry and the premiere organization for the p-h-c professional. As a member of the PHCC, we're part of the largest membership association in our field. The attendant networking opportunities and educational resources means we're always up to date on the latest plumbing techniques. 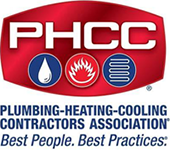 QSC is a professional network exclusively for members of the Plumbing-Heating-Cooling Contractors National Association (PHCC). QSC provides specialized business management resources, services and training for plumbing and HVACR service and repair contractors. The Building Owners and Managers Association of Georgia is a trade association representing one of the largest and most revenue-generating industries in the state: commercial real estate. BOMA Georgia's mission is to lead the commercial real estate community to enhance the professionalism and value of our members through education, advocacy, community involvement, membership participation and the open exchange of ideas. CAI is the first and only international membership organization created to meet the needs of homeowners, community managers and service providers. With more than 35,000 members and 63 chapters worldwide, CAI is dedicated to building better communities by helping homeowners and condominium associations meet the expectations of their residents. GHLA is the state's non-partisan trade association representing the lodging industry. Originally founded in 1907, its mission is to promote, protect and educate the lodging industry around the state and to ensure positive business growth for its members. Established in 1906, the mission of the Georgia Restaurant Association is to serve as the voice of Georgia's restaurants in advocacy, education and awareness.